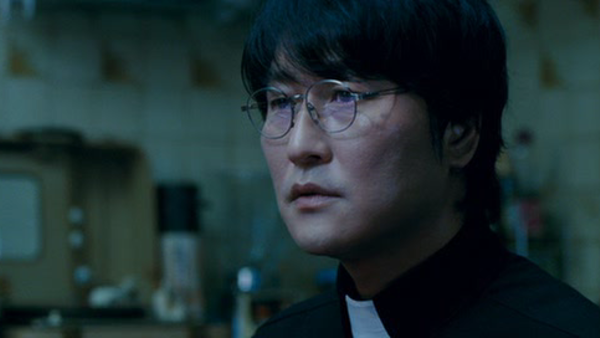 Chan-wook Park is best known for his messed up revenge thrillers, but the results were surprisingly original when he tackled the subject of vampirism in 2009's Thirst. As you might expect from a filmmaker with a penchant for vengeance, Park's take on Vampires is far removed from Twilight. His vamps have bite. Some of them ponder the horror of their own existence and insist on non-violent means of sating their bloodlust, while others make Count Dracula look like a pillar of the Transylvanian community. There's plenty on offer to keep the gore hounds satisfied, but at its core, Thirst is an illicit love story which offers a mature take on the subject of undeath. If you see only one of Park's films in your lifetime, make it a Vengeance Trilogy instalment, but make no mistake, Thirst is a vampire movie that comes at you fangs-first.